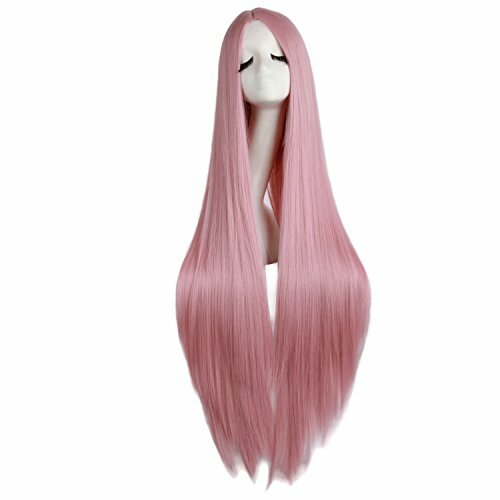 Product Highlight: Our wigs are made of heat-resistant synthetic fibers, and every wig is handmade by skillful workers, the quality is guaranteed. The wig is on an adjustable net-cap that fits most head sizes. The closest appearance and real human hair feeling. About wig care: 1. Not to spray gel water and wax on the wig,which will cause the wig oily. 2. Don't use hair pin for fear that it may damage the net. 3. Be gentle and patience when comb wigs.And long wigs should be combed from up to down. 4. After use, put it back to the box. 5. If hair knotted after long use,use non-oily maintenance fluid of wig. About washing: 1. Remember to wash before you first wear. 2. Remember to wash the wig termly(usually wash once in one or two months). 3. Wash in cold or warm water with common shampoo. 4. After washing,best let it dry naturally or use a towel to help dry. 5. After washing,don't comb the hairs before it dry. CAN'T REFUSE THE REASON-It is both natural-looking and soft to the touch. The size is adjustable, and no pins or tape should be required. It should fit most people's heads. 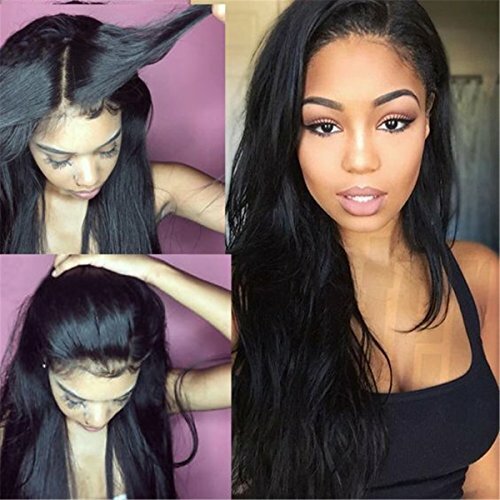 -The product includes a wig cap that gives you the perfect look for Halloween, concerts, theme parties, weddings, dating, and any other occasion. 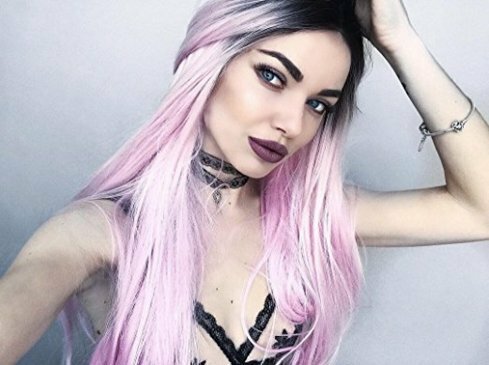 -Our wigs are made of high quality synthetic fibers, and every wig is handmade by skillful workers, the quality is guaranteed. The wig is on an adjustable net-cap that fits most head sizes. The closest appearance and real human hair feeling. 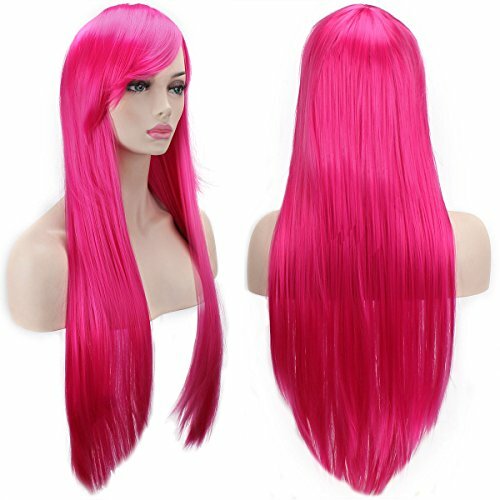 FEATURES:1.Brand:AKStore2.Material:100% High-quality High-temperature Synthetic fiber3.Size: Length:32" 80cm4.Color:Rose5.Weight: 300g/pcsPackage include:1x AKStore Wig 1x AKStore Free Wig Cap AFTER SERVICE: -Upon receipt of our products, if you are not 100% satisfied with the quality or concerned, Please contact us,We will try our best to solve it.no-questions-asked money back guarantee and top-notch customer service.-Our belief is that the interest of our customers comes first. So, we will do everything we can to protect your interest.-Thank you for visiting our shop, welcome to visit next time. Product Included: 1 * Wig1 * Wig CapWashing Wig: 1. Soak the hair gently with mild conditioning shampoo in cold or warm water. 2. Rinse the hair in warm water towards to the same direction.3. Brush the hair gently in a downward from top to end.4. Lay flat the hair and leave it natural air dry. What should I avoid? 1. Do not use heated styling tools such as curling irons, flat irons or hot rollers on your wig.2. Do not brush your wig when wet.Warm Tips: All synthetic hair wigs be happened to minimum shedding and Tangling which is normal. 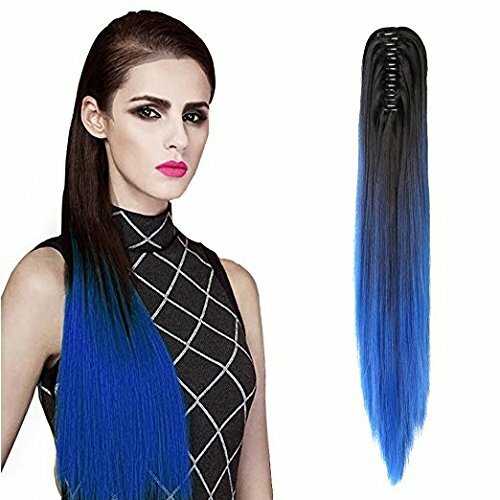 1.Item Type: Lace Front Wig for Women Natural Wave Long Wigs 2.Hair Weight:350g-450g 3.Material:Synthetic hair heat resistant up to 160 degrees centigrade (320 Degrees fahrenheit) 4.Made Method: Half machine made & half hand tied lace front wigs 5.Easy to take care, easy to take on, delivery fastest Wig Wearing: 1.Strench the hair net with your hands , put it to your neck from your forehead. 2.Put the whipstitch side downwards,pinch the other side with two hands and pull it up until the net has covered your hair. 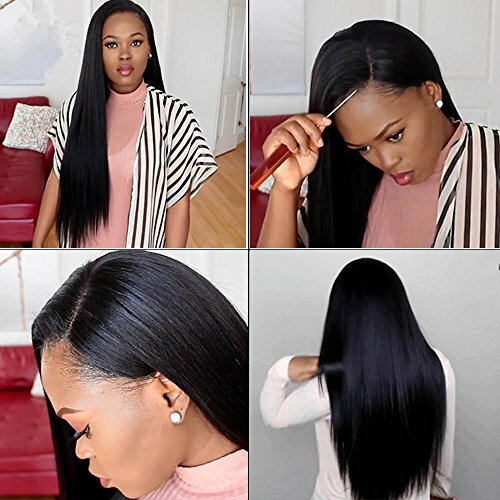 3.Adjust the whipstitch side to your hairline , set your hair with your own fingers.when it is finished,use hair pins to fix your hair on back,instead of top. 4.It is better that you fix from front,back,left and right side.How to wash wig? 1. Soak the hair gently with mild conditioning shampoo in cold or warm water. 2. Rinse the hair in warm water towards to the same direction. 3. Brush the hair gently in a downward from top to end. 4. Lay flat the hair and leave it natural air dry. 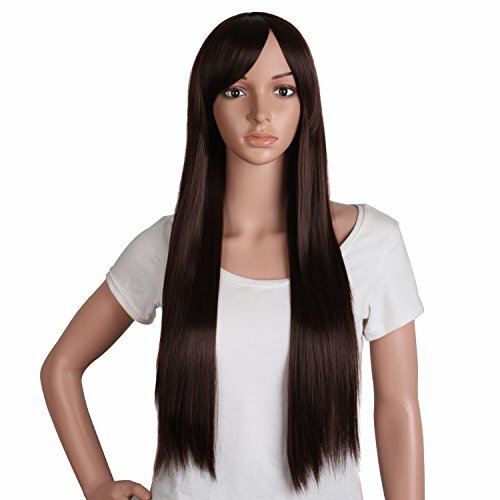 Looking for more Long Straight Beauty Wig similar ideas? Try to explore these searches: 2 Snack Plates, First Christmas Stork Ornament, and Teen Bedding Bed In A Bag. 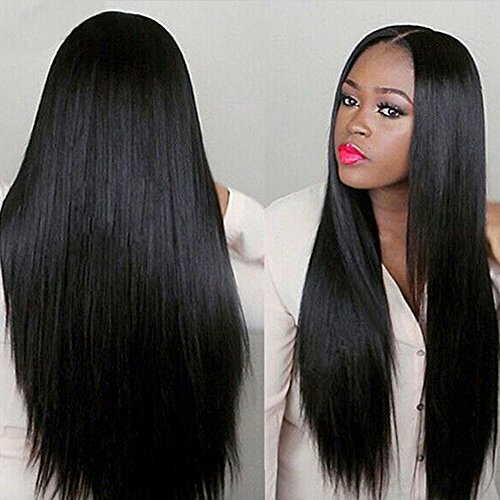 Look at latest related video about Long Straight Beauty Wig. Shopwizion.com is the smartest way for online shopping: compare prices of leading online shops for best deals around the web. 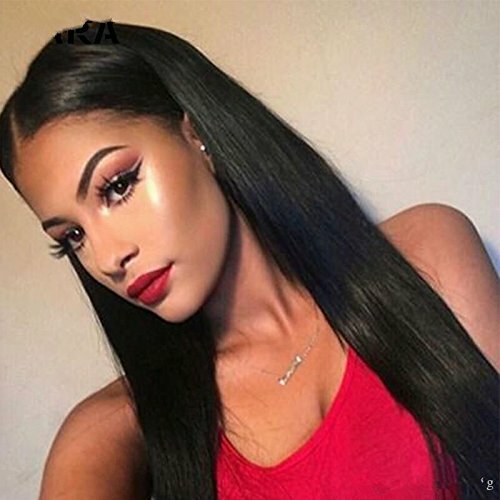 Don't miss TOP Long Straight Beauty Wig deals, updated daily.